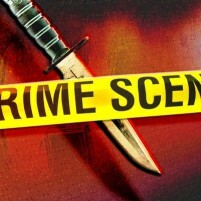 The woman survived the stabbing which occurred at about 2:30 a.m. at the Colonial Motel at 1866 South Broadway. The victim is reportedly in stable condition. It is unclear if police have identified the suspect or a possible motive. Motel guests were reportedly awoken for officers to question them. The incident was one of several stabbings or shootings in recent weeks in Santa Maria. Sanctuary City USA… Most dangerous City in the Central Coast Area.